IN the matter of a formal investigation held at the Caxton Hall, Westminster, on the 23rd and 30th days of October, 1905, before GILBERT GEORGE KENNEDY, Esquire, assisted by Captains A. RONALDSON and HENRY HIGGINSON, into the circumstances attending the stranding of the British ship "UMZUMBI," of London, on or near the Staone Rock, Island Bannec, near Ushant, France, on the 3rd September, 1905. The Court, having carefully inquired into the circumstances attending the above-mentioned shipping casualty, finds, for the reasons stated in the Annex hereto, that the stranding of the vessel was caused by an extraordinary easterly inset, and that serious damage to her was caused. The Court finds that there was a grave error of judgment on the part of the master in not verifying a light seen on the starboard beam at 1.45 a.m. on 3rd September. Dated this 30th day of October, 1905. The inquiry was held at the Caxton Hall, Westminster, on the 23rd and 30th days of October, 1905. Dr. Stubbs appeared for the Board of Trade. Mr. Lauriston Batten, K.C., and Mr. Dunlop, instructed by Thomas Cooper & Co., of 21, Leadenhall Street, London, represented the owners of the vessel and the master and chief and second officers. 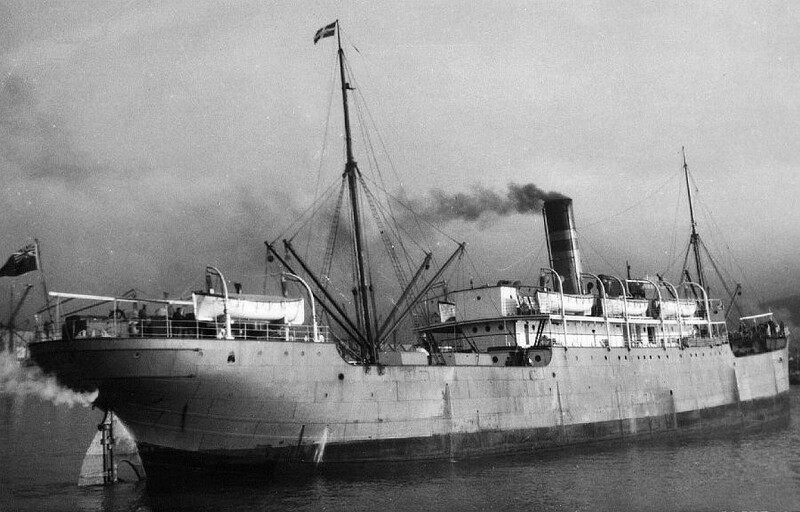 The "Umzumbi," official number 118392, is a British steamship, built of steel at Sunderland, in the year 1904, by Sir James Laing & Sons, Limited. She is fore and aft schooner rigged, and of the dimensions following, viz. :Length, 348 ft.; breadth, 43.3 ft.; depth from top of beam amidships to top of keel, 28.27 ft. Her gross tonnage is 3379.06 ; her registered tonnage 2144.29. She is fitted with six w.t. bulkheads. She is propelled by one set of triple-expansion engines, with three steel boilers, pressure when loaded 180 lbs. The engines and boilers were made in 1904 by Messrs. George Clark, Limited, of Sunderland; the diameters of the cylinders are 26 ins., 43 ins., and 71 ins. respectively; the length of stroke 45 ins., to give a speed of 11 1/4 knots. The vessel was fitted with four boats, two of them being lifeboats, and with the usual life-saving appliances, in accordance with the Act. She had three compasses two of Sir William Thomson's and an ordinary one aft. These were adjusted in May, 1904, by Messrs. Reynolds, on her voyage from London to Sunderland; and the master ascertained their deviation from time to time. The vessel was fitted with Wigzell's patent sounding machine, and was supplied with proper charts and sailing directions. The "Umzumbi" is owned by Messrs. Bullard, King & Co., of 14, St. Mary Axe, London, E. J. King, of the same address, being the managing owner. (Advice under his hand received 24th February, 1904.) She is registered at the Port of London. The "Umzumbi," with a crew of 50 men, was on her voyage from Natal to London, carrying 15 passengers and about 500 tons of cargo. She was under the command of Mr. William Henry Smyth, who holds a master's certificate of competency, No. 90607, dated 10th February, 1881. The vessel called at Las Palmas, and left there on the evening of 28th August, 1905, in fine weather. Proceeding on her voyage on the 1st September, about 5 p.m., she passed Cape Villano, distant about 5 miles. At noon on the 2nd September, under very favourable circumstances, observations were taken which placed the vessel in 46° 5' N. and 7° 17' W. The course was then set N. 47 1/2 E. magnetic, to pass Ushant, estimated to be then distant 163 miles, at a distance of 10 miles to the westward. The weather was fine. About 6 p.m. there appears to have been more or less of a haze on the horizon, which continued until about midnight, when it increased, with fine misty rain. At midnight, the master, who had been on deck repeatedly, went on the bridge and remained there with the second officer. About 1.45 a.m. on the 3rd September a flash light was observed on the starboard beam, but on account of the haze the light was very indistinct, and it was only seen for about two minutes. The master and second officer took it to be the Ushant Light, and their examination of the log, showing 168 miles, confirmed them in that belief. It appears now, however, that the light seen must have been the Ar Men Light, off the main French coast very considerably to the S.E. of Usbant. Under the impression that it was the Ushant Light, the master then altered his course half a point to the westward, because, as he stated, he was getting his channel tide and wanted to keep well clear of the Casquets. About 2.30 a.m. a steamer's masthead and green lights were seen on the starboard beam about a mile and a half distant. About 3 a.m. the vessel ran into a dense fog. Up to this moment, the master said, he could see far enough to clear anything; the engines therefore were going full speed ahead, making about 12 knots. Although the registered speed is 11 1/4 knots, it appeared from the evidence of the engineer that the vessel is in fact, and is known by the officers, to be "a 12 knot ship." Immediately, according to the evidence, after the vessel had run into the fog, breakers were seen ahead, by the man on the look-out and by the master and second officer on the bridge simultaneously. The engines were at once put full speed astern and the helm hard a-starboard, but before the way could be taken off the vessel she struck on the Staone Rock, bearing S.E. by E. magnetic, nearly four miles from Runion Point, the southern point of Ushant. The water rushed in and was over the stokehold plates almost immediately. As the vessel was filling, the boats were promptly lowered, and the passengers and about Â£9000 worth of specie placed in them. The crew then rowed ashore, in obedience to the master's orders, and safely landed everyone and the specie at Molene. The master only was left on board, and he stayed by the ship alone until about 4 p.m. the same day, when the salvage steamer took him off. The vessel was badly damaged, but it has since been floated by the salvage people, and arrived at Brest about the 27th September. Although the log confirmed the belief of the master that the light seen at 1.45 a.m. on 3rd September was Usbant, the Court is of opinion that in view of the fact that the light had not been sufficiently identified, the master should have used some further means or taken some further steps to locate his position. An effort in this direction should not have been fruitless; and, if at this time it had been discovered that the light was not Ushant, it should have been possible, by standing out to the westward, to have prevailed over the strength of the current which eventually caused the stranding of the vessel. Strong N.E. winds had been blowing for many days previously, and it appears that there was a very exceptionally strong easterly inset driving the vessel inshore. The patent sounding apparatus (Wigzell's) carried by the vessel was ready for use. The master and chief officer understood the use of it; the second officer had only used it once or twice, and was not sufficiently familiar with it to be entrusted with its use. As the fog was not run into until immediately before the casualty no order was given to use the lead, the master then believing that the light previously sighted had been Ushant. A remarkable feature of the case is that the master's course was laid to pass 10 miles to the westward of Ushant light, the distance mentioned in the sailing directions, the weather being fine. It appears therefore that in the absence of any system of apprising mariners of an exceptional condition of tide and current, in which ten miles is not enough, it would be better that a greater distance should be generally maintained off such a coast, with fogs so prevalent. (2) Did the master ascertain the deviation of his compasses by observation from time to time, were the errors correctly ascertained and the proper corrections to the courses applied? (3) Was the vessel supplied with proper and sufficient charts and sailing directions? (4) Were proper measures taken to ascertain and verify the position of the vessel at or about noon of the 2nd September last, was a safe and proper course thereafter steered, and was due and proper allowance made for tide and currents? (5) What was the light seen at or about 1.45 a.m of the 3rd September last? was the master justified in taking it for Ushant Light? (6) Was a safe and proper alteration made in the course at or about 1.45 a.m. of the 3rd September last, and was due and proper allowance made for tide and currents? (b) Was the lead used, if not, should it have be used? (8) Was a good and proper look-out kept? (9) What was the cause of the stranding of the vessel, and was she seriously damaged thereby? (10) Was the vessel navigated with proper and seamanlike care? (11) Was serious damage to the s.s. "Umzumbi" caused by the wrongful act or default of the master, chief and second officers, or any of them? (1) The vessel had three compasses, two of Sir William Thomson's, and an ordinary compass aft. They were in good order and sufficient for the safe navigation of the vessel. They were last adjusted in May, 1904, on a voyage from London to Sunderland, by Reynolds & Son. (2) The master ascertained the deviation of the compasses by observation from time to time. The errors were correctly ascertained, and the proper corrections to the course were applied. (3) The vessel was supplied with proper and sufficient charts and sailing directions. (4) Proper measures were taken to ascertain and verify the position of the vessel at or about noon of the 2nd September last. A safe and proper course was thereafter steered, and due and proper allowance was made for tide and the ordinary currents. (5) The light seen at or about 1.45 a.m. of the 3rd September last, is believed to have been the Ar Men light. The master was not justified in taking it for Ushant light. (6) A safe and proper alteration was not made in the course at or about 1.45 a.m. of the 3rd September last. (a) The vessel was not navigated at too great a rate of speed. (b) The lead was not used: it should have been used. (8) A good and proper look-out was kept. (9) The stranding of the vessel was caused by an extraordinary easterly inset. She was seriously damaged thereby. (10) Subject to answers Nos. 5 and 7 (b), the vessel was navigated with proper and seamanlike care. (11) The serious damage to the "Umzumbi" was a consequence of the grave error of judgment on the part of the master in not verifying the light seen; but the Court do not deal with his certificate. The chief and second officers are not to blame. 106.1 metres long perpendicular to perpendicular, speed of 13 knots. Built for 'Bullard King & Company, Limited' (Natal Direct Line), of London. Was engaged on the London to Durban, South Africa, service. It would seem that the vessel grounded at Ushant, maybe in 1905. And was in collision with Inneroy in Yarmouth Roads in 1919. Could be Norfolk or the Isle of Wight, perhaps. On Jul. 25, 1932, the vessel arrived at the T. W. Ward & Co. ship breaking facilities at Grays, Essex, U.K., to be broken up.